Hero Commander Open Beta Announcement! GTArcade is excited to announce that we're all set to release the Open Beta of our cute fantasy strategy game, Hero Commander, on October 13th! 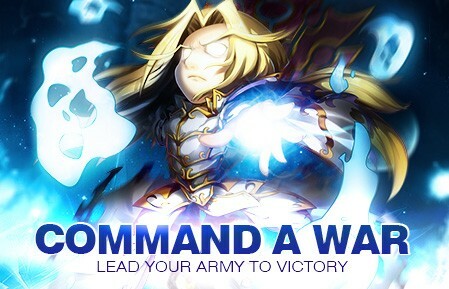 Hero Commander is a cute fantasy strategy game by GTArcade set for a 2014 release, perfectly combining tactical and MMORPG elements into a heroic adventure of epic proportions. You can play as the lord of the Grand City, as well as take command of your army’s leader when going out to battle. As the city’s lord, there are many obligations besides warfare waiting to be dealt with. You must listen to the voices of your people and help with their problems. Your decisions will greatly influence what your people think of you. The future development of your city also rests in your hands. Whether the best way to prosper is trade with other cities or to strengthen your military power, the choice is entirely up to you! Although the realm within the jurisdiction of your majesty is quite tranquil, the rest of the world is not as peaceful as it seems to be. Devil forces are on the march, and their armies are more aggressive than ever. Will you join the overwhelmingly powerful force of evil, or are you determined to save the world from them? No matter which side you choose, you will have to face your enemies, other players, on the battlefield. This war will forever be known as --- The Nation War. Gear up for a real fight and head out to battle! You will be met not only by your enemies, but also greeted by your allies. You will never fight alone! Don’t worry if you lose a fight, because a single event could never determine the entire battle. Nonetheless, what you do surely affects the situation. The entire world is at stake, not only humans. Therefore, the proud Dragons have also joined in the war! Now you have soldiers, archers, knights and dragons at your disposal. Human beings have several weak points while Dragons have fewer. Soldiers are stronger against Archers, but are weaker when facing Knights. Archers do great damage against Knights, but cannot withstand a single blow from Soldiers. Knights are good at crushing Soldiers, but can barely do anything when it comes to Archers. When facing a strong enemy, how you arrange your formation will often be the key to victory. Loot epic gear and recruit legendary heroes! 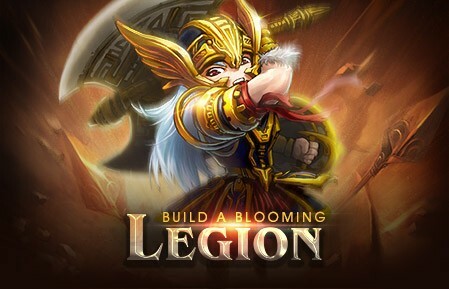 Build your city and command your armies in battle against devils, dragons and other nations! Begin an epic journey with famed heroes and a raging army at your side! Free the world from the clutches of evil and corruption!